Cleardata's UK document scanning bureau efficiently handles high volumes of paperwork, using the best technology. It's our core business so we're cost effective, deliver high outputs and provide enhanced quality checking. 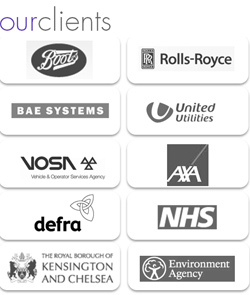 Cleardata supplies large businesses, NHS trusts and local authority clients throughout the UK. If your business needs to meet document management compliance standards for outsourcing, don't worry, we'll tick all your requirements. We're accredited to ISO27001 (Information Security) and BSI's quality management standard 9001:2008. Our premises are protected by bespoke fire detection, CCTV and security systems. We're also a data protection act registered company and disclosure check all our staff. Cleardata has its own in-house IT guys and can index your documents to your requirements and output information into just about any digital format. We do like to challenge our IT team and they never cease to amaze us with their talents! So lets get down to volumes, we've kitted our bureau out with Kodak technology, our lovely scanning team have tried and tested lots of different scanners and think Kodak's the best. We bought the team a new Kodak i5800 recently. It's fantastic, scanning 420 images per minute. This sort of technology is ideal for capturing high volumes, such as invoices, claim forms and mailroom requirements. It's got brilliant sensors, so no double feeds and is very cost effective. To find out more click on any of the services below or call 0800 046 8081. Alternatively try our scanning calculator to estimate your costs. what size documents can Cleardata scan? Cleardata can scan any size of document up to AO. 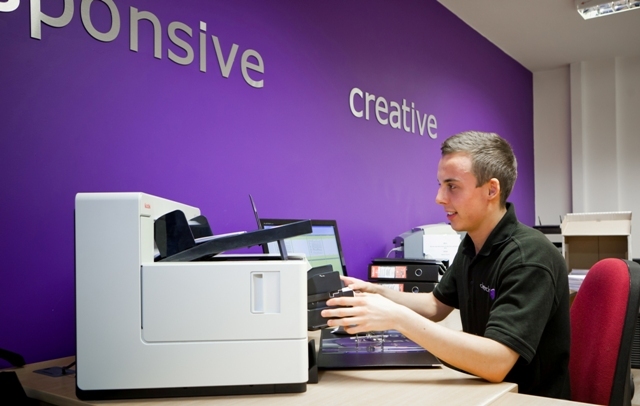 The company uses Kodak technology for small format up to A4 and OCE scanners for large format documents. OCE equipment can also photocopy large format drawings. AO & A1 documents, often used for large format drawings and diagrams, e.g. architectural drawings, planning documents or utility plans and fip charts. A2 & A3 - documents such as engineering drawings, newsletters, publicity leaflets or adverts. A4 - correspondence, reports and any other documentation. Cleardata's scanners can handle older or flood damaged documents and have intelligent character recognition software to capture data. B5, A5, B6, A6 - these sizes of documents are standard for books. Cleardata can provide flat bed scanning for log books or diaries. Small Format - Cleardata's Kodak scanners can handle receipts and small format tickets or record cards. Cleardata will work with you to provide a scanning solution to meet your deadlines. The company can produce high levels of productivity using efficient equipment. Cleardata scans in excess of 24 million documents per annum. Documents can be collected, using our own fleet of vehicles with tracking technology. how will my documents be protected whilst on your premises? The company will store your documents in an argon gas protected room during and after scanning. Cleardata's premises are protected by redcare security systems, biometric finger print entry, and VESDA (very early smoke detection alert) systems. For further details call Cleardata today on 0800 046 8081 or contact us.